Our highly styled hooded coat dresses up jeggings and boots or adds another layer of fabulousness to a party outfit. 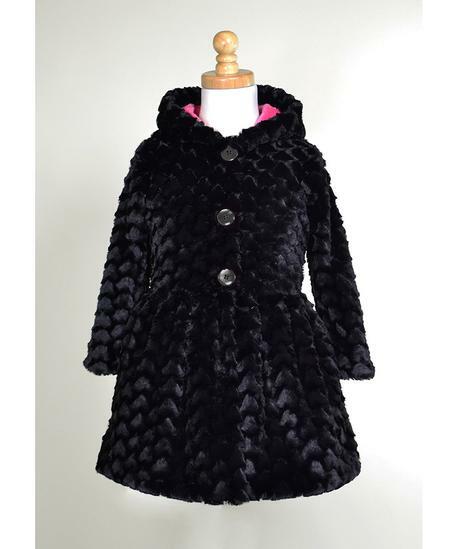 This ultra-soft coat is fully lined and features a ruffled drop waist. Ultra soft, fully lined, 100% Polyester, machine washable.